Our last grapes will roll into the winery tomorrow. Then the winemakers and cellar crew will continue their magic over the coming days and weeks. All indications are the 2018 vintage will be pretty gosh darn good. Why not pop down this weekend and try some earlier vintages or check out the last crush tomorrow?! 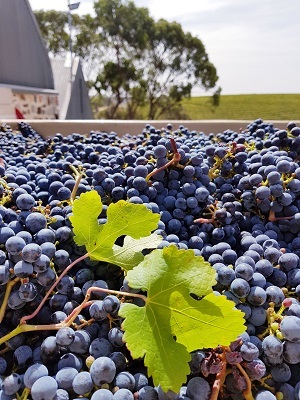 The photo is of some beautiful hand-picked Mourvèdre yesterday… Delicious.